The National Environmental Policy Act of 1969 (NEPA) requires federal agencies to disclose to decision makers and the interested public a clear, accurate description of potential environmental impacts of proposed federal actions. Through NEPA, Congress directed federal agencies to integrate environmental factors in their planning and decision making processes and to encourage and facilitate public involvement in decisions that affect the quality of the human environment. The FAA has established a process to ensure compliance with the provisions of NEPA through FAA Order 1050.1F, Environmental Impacts: Policies and Procedures. The FAA’s goal is to ensure timely, effective and efficient environmental reviews of proposed TUS improvements. NEPA is a national charter to protect the environment. The basic framework of NEPA is for all Federal agencies, to the fullest extent possible, to interpret and administer their responsibilities in accordance with national environmental policies. NEPA procedures ensure that accurate and high quality environmental information is available to public officials and citizens before Federal decisions are made or actions are taken that may affect the environment. Each Federal agency is charged with developing methods and procedures, in consultation with Council on Environmental Quality (CEQ), to give environmental values appropriate consideration in agency decisions along with economic and technical values. CEQ provides Federal leadership on the implementation of NEPA through regulations (40 CFR 1500-1508) and guidance applicable across the Federal government. The NEPA guidance of each Federal department and agency must be consistent with the CEQ regulations and must have concurrence by CEQ. 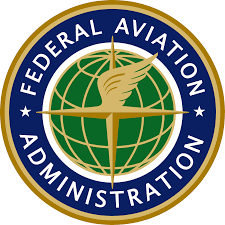 FAA Order 1050.1F, Environmental Impacts: Policies and Procedures is the FAA’s guidance for complying with NEPA and other special purpose environmental laws and regulations (e.g., Clean Air Act, Clean Water Act, Endangered Species Act). Consistent with this Order, the FAA is responsible for conducting an environmental review under NEPA for all proposed actions and decisions within its purview that affect the environment. FAA actions and decisions include but are not limited to the implementation of air traffic procedures and airspace redesign. TUS implementing actions are subject to NEPA, just as are other FAA actions.